It’s that time again. We’re inching closer to the release of a new Intel processor architecture for desktops. While we can’t share the juicy details with you yet, we can tell you that our R&D department has been working with the CPUs for several months, uncovering everything they have to offer. Things are maturing nicely; in due time, we’ll post a slew of guides and info here on Edge Up that you don’t want to miss. The Internet rumor mills have been running rampant with gossip for some time, but if you didn’t know already, the new processors utilize Intel’s existing LGA 1151 socket. They’re compatible with 100-series motherboards by way of a simple UEFI update. Our firmware teams have been busy compiling and validating UEFI builds that enable support, and those builds are ready to download today. The current support list includes no fewer than 87 ASUS motherboards, with more to be added in the near future. So, if you already own or are thinking of purchasing one of our 100-series motherboards, you can rest assured it will work with the next-gen CPUs. For those of you who already own an ASUS motherboard, updating to the latest firmware couldn’t be easier. Our UEFI interface includes the renowned EZ Flash 3 utility, allowing the firmware to be upgraded with a FAT formatted USB flash drive or via the Internet. ASUS Z170 motherboards also include USB BIOS flashback, enabling firmware updates without a CPU or memory installed. This feature is perfect for updating motherboards to work with CPUs they don’t yet support. It can even help you recover from a failed flash attempt. We recommend using EZ Flash 3 or USB BIOS Flashback because there’s less chance of a failure. If you prefer doing things within the operating system, the ASUS EZ Update software utility can be used to flash the motherboard’s firmware. Whichever method you choose, we recommend performing the procedure at stock settings to ensure the system is stable during the process. The sortable, searchable table below lists all 87 motherboards and shows the requisite UEFI version to enable support for the new CPUs. 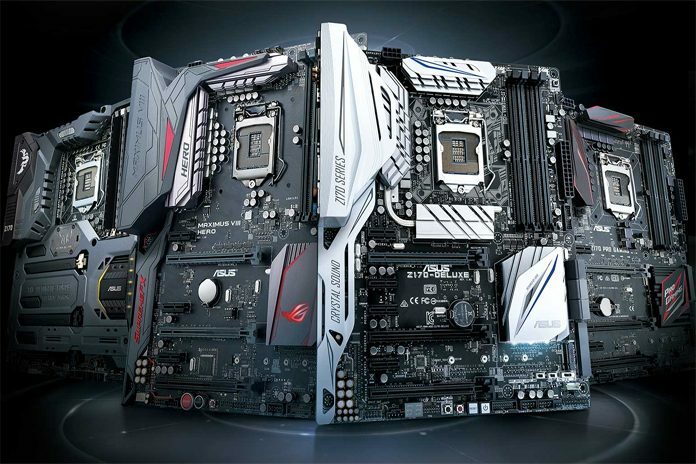 Firmware for each motherboard is available to download from the ASUS website.